It's not just Michigan's Todd Courser and Cindy Gamrat acting like "dinghy lovebirds." 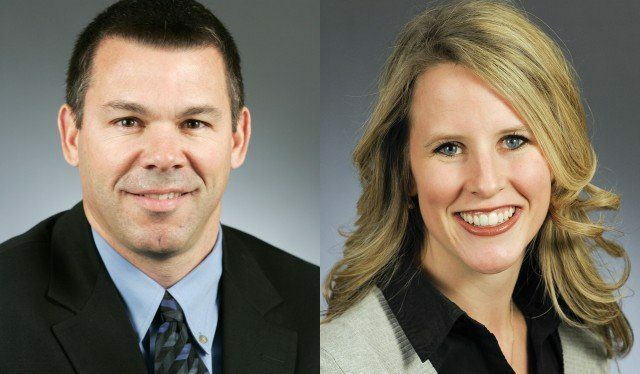 Minnesota has its own part of hot-to-trot state legislators, Tim Kelly and Tara Mack. TomoNews US reports in Minnesota lawmakers caught 'making out' in car park say they were exchanging documents. A couple of Minnesota lawmakers are scrambling for cover after news they were busted for allegedly making out in a car park late last month recently leaked out. Lawmakers Tim Kelly and Tara Mack who are both married, but not to each other, vehemently deny the accusation, contained in a public nuisance citation from a park ranger. The citation stems from an incident that took place at around 4.30pm on August 25 in a Lebanon Hills Regional Park parking lot in Eagan. What's with Republican lawmakers in states beginning with MI? At least one Michigan legislator is taking no chances of being caught up in this mess, as MLive reports. Michigan state Rep. Tim Kelly, R-Saginaw Township, took to Facebook to clear up any confusion: "Apparently there is a State Rep in Minnesota making the news named Tim Kelly who's philandering with another elected official, much like MI's own Courser/Gamrat fiasco. THIS IS NOT ME!!!!" For what it's worth, the snarky Taiwanese animators have not yet put together a video about Courser and Gamrat. I've asked if they could. I'm sure the results would be hilarious, but I'm content to wait. Speaking of waiting, please stay tuned for the regular Sunday entertainment entry. Now that's a new euphemism for their behavior. "Oh, my, the engine is overheating." Yeah, I'll bet. All of the people who are reading this entry should surf over to the latest installment of the Courser-Gamrat saga: Courser and Gamrat lose primaries for lost seats. Happy Labor Day from Detroit!